What: His first novel featuring detective Nick Forte, A SMALL SACRIFICE, received a Shamus Award nomination in 2013. 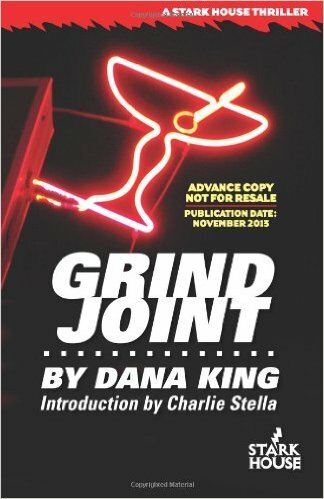 Woody Haut named GRIND JOINT, Volume Two of a series set in the fictional, economically depressed town of Penns River PA, as one of the fifteen best noir reads of 2013. A short story, “Green Gables,” appeared in the anthology Blood, Guts, and Whiskey, edited by Todd Robinson. Other short fiction has appeared in The Shamus Sampler: Volume 2, Spinetingler, New Mystery Reader, A Twist of Noir, Mysterical-E, and Powder Burn Flash. I just read the third Nick Forte book, THE MAN IN THE WINDOW. How would you introduce your protagonist to somebody who is new to the series? Forte is the first protagonist I created, in a series of short stories I wrote for friends at work. The stories featured thinly disguised versions of co-workers. Wait. That’s not right. They featured depictions of co-workers that were as accurate as I could make them with my tongue planted firmly in cheek. All I changed were the names. So Forte is me. Musical background that didn’t work out, but still influences him. Divorced father who has a lot of guilt about it. Forte is an everyman with skills. He’s not a drunk or addict or suffering from PTSD or other demons. He’s a divorced father trying to make a living at a career he never would have chosen, but has found he has some chops for. Loyal friend, devoted father, good sense of humor, and genuinely tries to do what’s right. That comes to haunt him as time goes on. Since there are three books, how has Nick evolved over the course of the series? As a writer, how important is it for you to have your characters evolve? The cases he works and the violence Forte encounters are wearing him down by the time he gets to THE MAN IN THE WINDOW. He’s a little darker in each book from this point forward. He becomes less bothered all the time by the violence he encounters and is more willing to initiate it than to walk away. I think if a series is to continue past a few books something has to evolve. In the Forte books it’s him. In my other series, set in a small, economically depressed town, it’s the town. It would bore me to write for identical circumstances in multiple books. There’s no way the reader wouldn’t pick up on that. In fact, it must have bored me. I did not plan to make Forte progressively darker as the series progressed, but I looked back one day and surprised myself a little. In retrospect, what I’d done was keep him interesting for me, which changed him book by book. 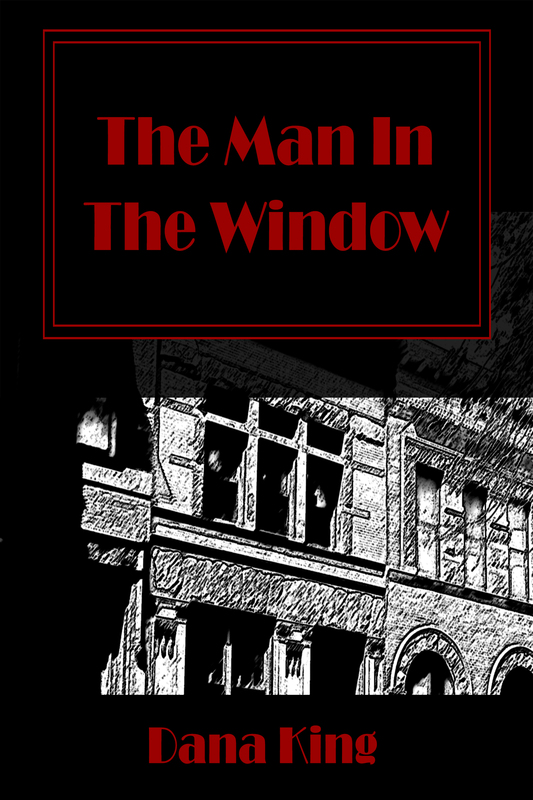 THE MAN IN THE WINDOW features music and musicians throughout the story. Are you a musician yourself? If so, what instrument(s) do you play? TMITW is my most personal story in many ways. I have a Master’s degree in Trumpet performance. The only thing I ever wanted to do was to play trumpet for a living. If someone came to me today and said I could have a gig in a small orchestra but I could never write again, I’d take that in a heartbeat. This story was my chance to pay homage to my love of orchestral music, and use the knowledge of musicians I’d accumulated. In a side note, there’s a chapter set aside for Forte to attend a musical performance in every book. It’s among the ways he stays in touch with his core as events try to pull him away. Would you consider yourself a big fan of music? Who are some of the artists you listen to while writing? Who are some all-time favorites? I have eclectic musical tastes. Classical—especially orchestral—and jazz, notably big bands such as Buddy Rich and Maynard Ferguson are the core. I also have collections of R&B (Tower of Power rules) and country (Willie Nelson and Johnny Cash in particular). The handful of “popular” artists I listen to all write songs that tell stories, like Tom Waits, Warren Zevon, and Delbert McClinton. I never listen to anything while writing. Too distracting. A key element of what I’ve been told is best about my style is how the writing, especially dialog, lays on the reader’s ear, so I need to listen to it with no distractions, even if I’m not reading aloud. With Nick Forte you have created a character that pays homage to classic PI novels, but create stories that feel updated and modern. How important is genre to you as a writer? Does your opinion of genre change as a reader? That’s a good question. Genre probably weighs on my mind most in the Forte stories. 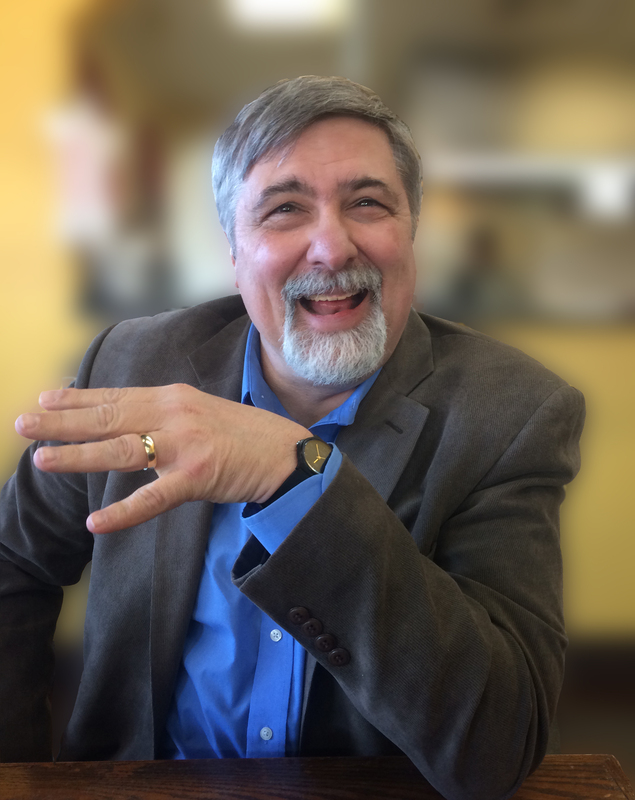 I got interested in writing after reading Raymond Chandler and Robert B. Parker, so the PI genre was always very important to me, and I was painfully aware of its conventions. My other series is most often classified as police procedurals, though I’ve never thought much about fitting them in a niche. As a reader I have a loose, generic “crime fiction” genre I most often read in. Beyond that, there are specific things I look for, but it’s hard to place a genre tag on them. Stylistic things, mostly. Voice. What are a few of your favorite PI novels of all time? How about other genres? A few? Wow. Any of Chandler’s big three (THE BIG SLEEP; FAREWELL MY LOVELY; THE LONG GOODBYE), though they’re all good. Well, maybe not Playback so much. Of course, THE MALTESE FALCON, which I think is still the greatest PI novel ever written. More recent stuff would include Tim Hallinan’s Junior Bender series, which started out good and gets better with each book. Declan Hughes’s Ed Loy series is excellent, especially the fourth book, ALL DEAD VOICES. I hope he goes back to that series. Other books would have to include Dennis Lehane’s THE GIVEN DAY, which I think is brilliant. Ellroy’s AMERICAN TABLOID. I have a hard time singling out an Ed McBain or Elmore Leonard, as so many of thier books are favorites. It often comes down to the one I’ve read most recently. Outside of crime, Kurt Vonnegut, especially SLAUGHTERHOUSE FIVE. John Irving’s A WIDOW FOR ONE YEAR has about the most perfect ending I’ve ever read. Anything by Charles Portis. Richard Russo. In non-fiction, the physicist Richard Feynman always brings me back. I discovered Steven Johnson last year and plan to work my way through his books. Max Hastings’s INFERNO is brilliant, as are the World War II battle histories of Cornelius Ryan. Connie Fletcher’s law enforcement books. Oh, and let’s not forget Joe Wambaugh. THE ONION FIELD is as good a non-fiction book as I have ever read, and THE CHOIRBOYS is Catch-22 for cops. That’s it. I promise. I’m done. You also regularly post author Q&As on your blog, One Bite at a Time. What have you learned about writing from interviewing other authors? Mostly that there’s no right way. Everyone does it differently. Outline or make it up as you go? Doesn’t matter. Listen to music or not? Throw anything on the page for a first draft or polish as you go? Read other fiction while you’re working on a book or stay away from it? None of it matters. There are as many different ways to write as there are writers. No one can tell you how to do it, but everyone can. It’s great fun. As a self-published author, how do you promote your books? What are the advantages to self-publishing? How do I promote them? Poorly. Facebook and my blog and through interviews and guest posts. (Thank you for this opportunity by the way. No, bless you.) I’m good with discussing my books and writing, either in print or in person, but it kills me to make the cold calls to find the opportunities to do so. I know it kills my sales and makes it even harder for a publisher to want to take me on, but that’s my personality. I’ve made peace with it. The advantages to self-publishing are the ability to write exactly the book you want. No one screws with you, no one tells you how it would be more marketable if the PI had a girlfriend, and, oh yeah, she might be a vampire. Electronic books even remove the restrictions of length, mostly on the short side. It no longer matters if the author needs 80,000 words or 50,000 words to tell the story. Whatever it takes. What are your publishing plans for 2016? I’ll self-publish the fourth Nick Forte, A DANGEROUS LESSON in the spring. I’m currently shopping my Penns River series. If there are no takers by fall, I may put out the third book in that series, as well. I’m about three-quarters of the way through the fifth Forte, after which I have a couple of ideas I like for Penns River, but those will push into 2017 and maybe even 2018. On top of the pile is John McNally’s LORD OF THE RALPHS. It’s a hefty pile. Before we go, thanks a million for this. The questions were thought-provoking and great fun to answer. So much so that you shouldn’t be surprised if you see a couple turn up in future interviews on my blog. 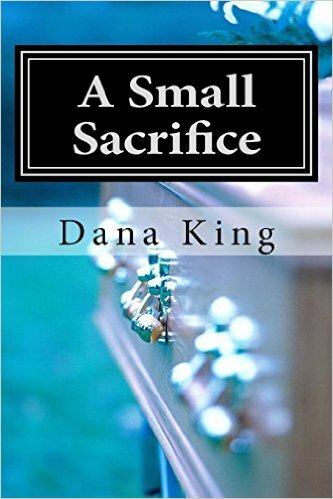 This entry was tagged #amreading, #amwriting, #qanda, #selfpub, A Small Sacrifice, blogger, blogging, Dana King, Elmore Leonard, Grind Joint, interview, James Ellroy, Raymond Chandler, self publishing, The Man In The Window, The Stuff That Dreams Are Made Of. Bookmark the permalink. Can’t wait to read The man in the Window now. Sounds terrific! Great interview!